From small-scale private wind turbine projects to large wind farm developers, we provide a wide range of wind Resources products to suit all applications. 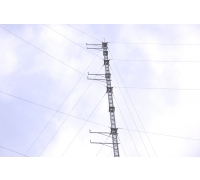 By carefully matching the right wind monitoring equipment, to the correct met mast, we are confident that we have the best solution for your wind site. Being an independent installer, we can install any met mast to tight timescales. - Inox Wind has carried out meso scale mapping pan India to identify sites suitable for wind farms. - Inox Wind has installed wind masts across multiple states in India for continuous wind data monitoring. Wind resource is one of the most important factors for wind power development. RRB Energy’s wind research team is well experienced on working with essential wind resource tools such as Wind Atlas & Application Program(WAsP), Windpro & Computational Fluid Dynamics(CFD) modeling. Identification of site for wind assessment. 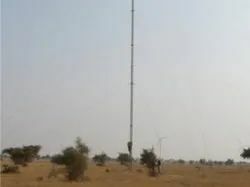 Installation & commissioning of wind mast. Wind Resource Assessment (WRA) using the latest scientific tools and software packages is a key area of expertise of WinDForce. WinDForce has carried out assessments for more than 4000 MW of wind farm capacities both in India and abroad. - nox Wind has carried out meso scale mapping pan India to identify sites suitable for wind farms. In India, and select geographies on request, Suzlon provides assistance in identifying sites with high wind potential, and micrositing – the science of assessing wind patterns to determine their optimally best positions. The location’s topographical influence also helps yield optimum wind power. At Suzlon, we incorporate micrositing to our advantage of minimizing risks. Wind Resource Assessment (WRA) using the latest scientific tools and software packages is a key area of expertise of WinDForce. WinDForce has carried out assessments for more than 2000 MW of wind farm capacities both in India and abroad. True Quality Certifications Pvt. Ltd.
Wind is the basic resource on which the continuing success of a project is hinged. Wind World (India) Ltd's dedicated Wind Resource Department (WRD) has a highly skilled and experienced team, focused on finding the best wind sites in India for the development of wind farms. The objective being to maximize investor returns, by optimizing the micro-sitting of Wind Turbines.